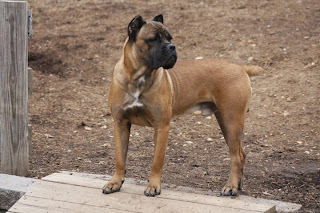 The Cane Corso is a catch dog used with cattle and swine, and also in wild boar hunts. It is also used by night watchmen, keepers, and, in the past, by carters. In the more distant past this breed was common all over Italy as an ample iconography and historiography testify. In the recent past its distribution was limited to some districts of Southern Italy, especially in Puglia, Molise, Calabria. Its name derives from "cane da corso" which is an old term for those catch dogs used in rural activities (for cattle and swine; boar hunting) as distinct from "cane da camera" which indicates the catch dog kept as a bodyguard. The breed was recovered from near extinction through the efforts of enthusiasts in the 1970s, the Corso is now popular globally, as can be seen by recent celebrity ownership of Cane Corsos. The Corso favours strength combined with agility. 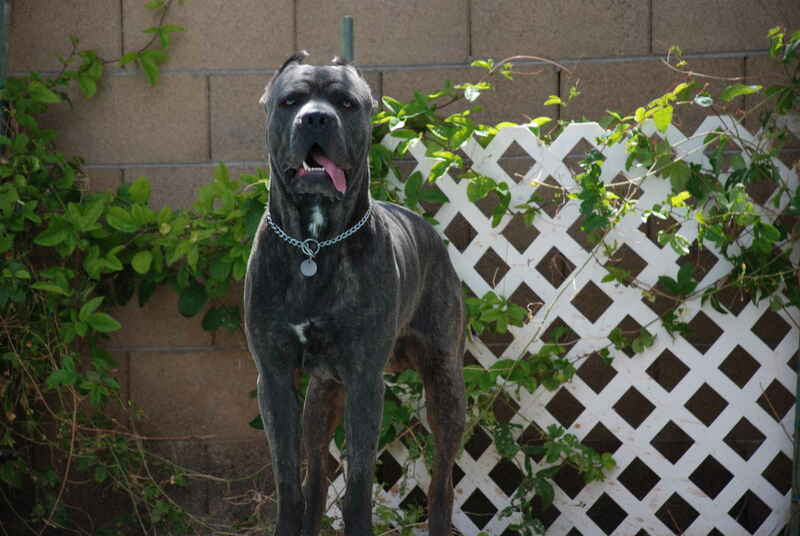 The Cane Corso has a very high need for training, exercise and early socialization. Since coming to the United States in 1987 the breed has gained popularity. It was recognized by the United Kennel Club on July 15, 2008 under the name Cane Corso Italiano, and subsequently by the American Kennel Club in 2010 under the name Cane Corso.A average of long life for cane corso is 10 to 11 years,depends of his treatment and life. Week 11 is in the books!! Next up: The Harvest Fest!